Download all nine files from the download site (http://go.microsoft.com/fwlink/?LinkId=285592) and save them on the local hard disk. 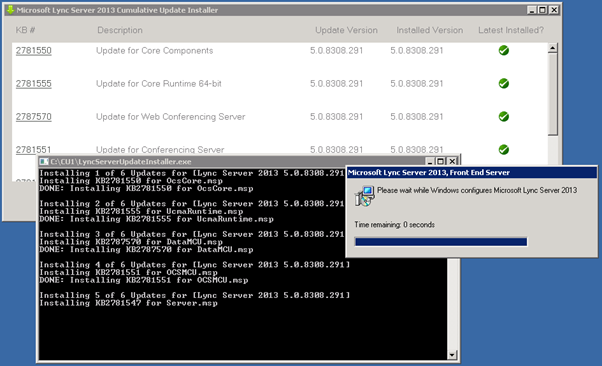 I found it useful to copy the files to all other Lync servers as well. 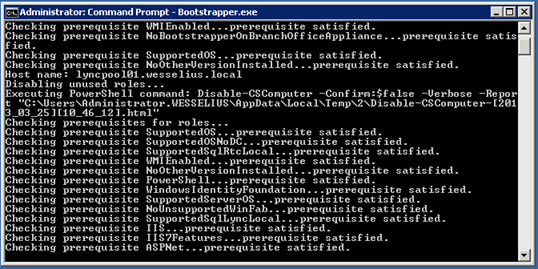 Once downloaded start the LyncServerUpdateInstaller.exe utility (elevated privileges!) and click Install Updates to start the installation. The installer will check which services are running on the box and only install the updates that are needed. This will configure the CMS on the SQL Server using the default instance. If you’re running some named instance you can add the –SqlInstanceName DBInstanceName parameter.